Perfect for the sausage kitchen, garage or man cave. 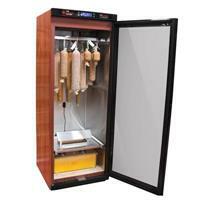 This dry aging cabinet makes it easy to turn plain salami into an artisanal charcuterie masterpiece. The art of dry curing is no longer limited to those who live in naturally conducive climates - you can control the environment. 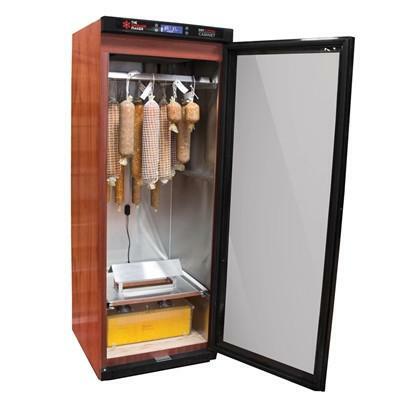 You can now dry age steak or pork belly to enhance flavor, hang sausage for traditional preservation or give a summer sausage or pepperoni sticks that tangy flavor that comes from natural fermentation. Make traditionally fermented, dry-aged and preserved foods in your home with modern, elegant control.